This is one of the main advantages of using this type of pump. It is designed to offer maximum safety thus you can be assured that you will not have any safety issues when operating the pump. The main reason for this is the fact that it normally uses low voltage power supply. This means that electrical shocks are something that you should not worry about. The DC water pump also comes with a variety of great features that make it highly efficient. These include things such as adjustable speed, corrosion resistance and run dry capacity. 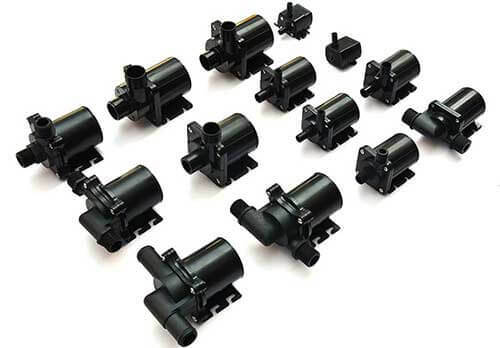 There are also different types of pumps that you can choose from where you are allowed to choose the one that is most convenient for your needs. Another advantage you can get from the DC water pump is the fact that they can be operated easily and conveniently. This means that anyone can do this without any complications. You can operate this straight from the battery. It can also be transported easily to your location of choice allowing you to utilize it in a manner that you wish. With this kind of pump, you do not have to worry about how it will be controlled as they come with a controller that can be easily used to manage the speed. Studies also show that the DC water pump is also more efficient. This also comes with a soft start feature that enhances control. Even when the pump produces a little bit of noise; this is not something that you should lose sleep over as you can easily go on with your daily routine without any major interruptions. This is one of the features that users appreciate about the pump as no one wants to be listening to loud noises when the pumps are in operation. When you consider all the benefits that the DC water pump brings about, you will be surprised with the fact that you do not have to break the bank when you want to purchase it. This is because it is made available at highly affordable prices that you will not have a problem with. In addition to this, they are designed to last for a very long time allowing you to enjoy its use for years. I really like how you mention the cost effective reasons for using water pumps. I never considered the long time use that they give to make spending the money worth it. My brother is looking into water pumps for his new home and didn’t really know what the best option was for it. Thanks for the advice, I will be sure to let him know that water pumps are a good investment.